Remember the fun you had as a kid with Colorforms? So do we. That is why we are constantly searching for original cartoon and movie themed colorforms. 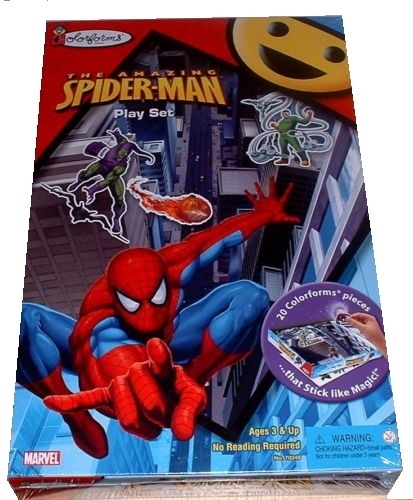 They just don't make them like this anymore!This brand new MINT Colorform playset features The Amazing Spiderman from 2006!